Today was the first day of summer session two at UCD. I am taking two classes this session. The second part of the 8a organic chemistry series and the last part of the calculus series. Both of these classes are dumbed down so I would really call them calc and o-chem for idiots. Yet after my first calculus lecture this morning I headed straight over the tutoring center to sign up for tutoring. I need all the help I can get. After that I spent about a hour ridding around campus looking for fixed gears again. I found one new fixed gear and two fixed gears I have already photographed before. Thing is this time I brought out my good camera so the quality of the photos is substantially better then the photos taken with my camera phone. So I reposted some pictures of the same bikes I photographed before. The new fixed gear I found today is the first picture in this set. This fixed gear has the exact same wheels as me, good choice! 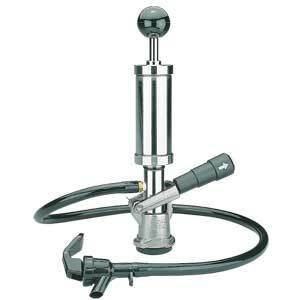 Note that there pedals do not include clip in or stirrups. Today was a big day for my bike. After tensioning the chain in front of the chem building on campus. It is always a nice touch when you work on your bike on campus. The chain had gotten really loose so I had to tighten it. After tightening my chain was making a horrible metal on metal grinding sound. Kind of like fingernails on a chalk board, it was that bad. I know now that I had over tightened the the chain and that is why is was making that sound. The sound prompted me to go by a bike shop and see if they had a new chain. Keep in mind the chain that was on my bike was off of an old univega. I decided it was it was time for a new chain, as I was worried I was going to break the old chain and end up stuck somewhere with a dead bike. The first bike store I went to was out of chains, but the next shop had a chain. They told me it would take and hour to put on, so I decided instead to buy a chain tool and put the chain on myself. I arrived home and flipped my bike over, pulled off the back wheel and used the tool to remove the old chain. I then corrected the new chain so it matched the length of the old chain and put it on the bike. It was a bit difficult getting the new chain back together, but at last i figured it out. After spend some time tensioning the chain I found the perfect point where it was tight but not so tight that it made weird sounds when I spun the pedals. I am very happy with the new chain and I am certain it is going to work very well. I have about a six inch piece of new chain left over. I am going to carry it with me so if I break my chain I can fix it on the road. Here is the new fixed gear I found today, it was parked behind Kemper hall I think... I am not entirely sure where it was parked at as I don't know the campus all that well. This pink bike was parked int he same place as it was before, maybe it had moved maybe it had not. Hard to say... It was parked on the south side of Hutchison hall. Note the pink chain as mentioned before in a prior blog post, but in the prior picture you couldn't really see the chain. In this photo it is very clear. You can also see the lock ring on the back cog. This bike was parked in the same place as before but note that now it has a cover on the seat where it didn't in the picture posted earlier on the blog. 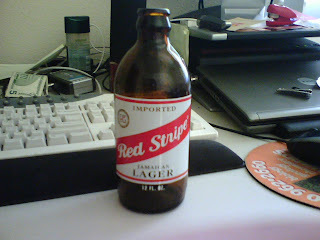 This blog was brought to you by Red Stripe Jamaican Lager, Hooray Beer!